About a week ago I was browsing some websites online. I came across a site that carried all three of the inserts for the Dovo shavette: red, black, and green. My Dovo shavette came with the red insert, but I had always been curious to find out what it be like to shave with the black insert and the green insert. As a result, I bought them along with some blades. So far I have only tested out the green insert. 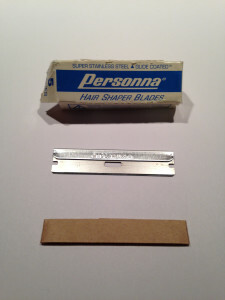 The blades that fit the green insert are “Personna Hair Shaper Blades” as said on the package. I’m not sure if they were originally intended to be used to shave faces(or my head for that matter), but I decided to put it to the test and see what they were made out of. The Personna hair shaper blades out of the box felt heavier, as they should be. They are about twice the length of the blades you put into the red insert. They also have a piece of metal wrapped around to the top that contributes to the additional weight. I inserted the Personna razor blade into the green insert, and then I put the green insert into the shavette. The fit was pretty snug. In fact, I had put a considerable amount of force to get it to slide into the shavette handle. A lot more than I had to with the red insert. Once the insert was in the shavette, the whole rig felt pretty hefty. Unfortunately, I didn’t have my food scale on hand to weigh it, but I will definitely weight it and then let you know how much heavier it is. I was pretty shocked to find out that shaving with the green insert and the Personna blade was a lot different than shaving with the red insert. The green insert definitely felt stiffer and more stable than the red insert. 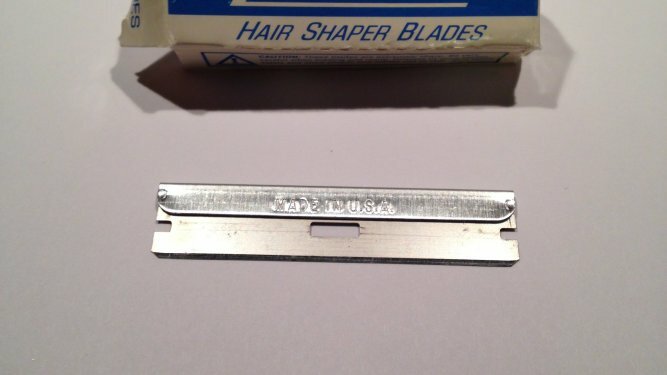 Since the blade is twice the length than the blades for the red insert, the shave is quicker as well. Like a dumbass I assumed that it wouldn’t be any different than shaving with the red insert. As a result, I nicked my head three times when I was shaving it. You definitely will want to pay close attention when you are shaving. Don’t assume that it’s the same as I did. After I finished shaving my head with the Personna blade, I moved onto my face. Shaving my face went a lot smoother. I attribute this to it being easier to shave, along with paying closer attention so I wouldn’t butcher my face like I butchered my head lol. Overall, I enjoyed the experience. 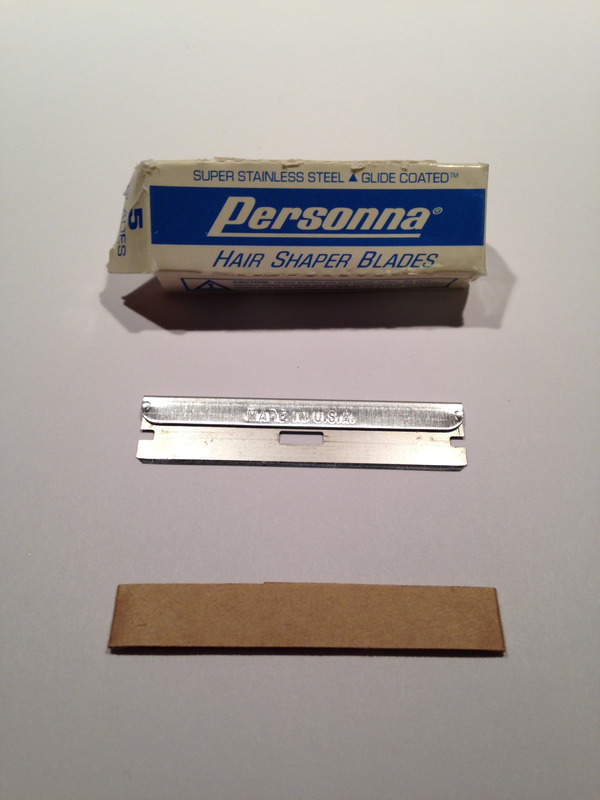 I am going to continue shaving with the personna blades for a while to get used to them. Then I’ll determine if I like them better than the razor blades for the red insert. I still need to try out the black insert along with the longer blades that go with it. However, my gut feeling is telling me that I am going to like the personna blades and the green insert best. Thomas got into wet shaving in 2010 when he bought a Dovo Shavette and would go on to buy a straight razor four months later. Since then he has purchased many other types of razors including feather and safety razors. He reviews their performance on this blog. Next: Are Straight Razors Like The First Woman You Slept With?